When the Dogecoin project started, nobody expected a brilliant future for it. At the end of the year 2015, Dogecoin met at the level of 30 Satoshi, and by the beginning of 2016 this cryptocurrency grew up a little, to 40 Satoshi and above. In 2016, Dogecoin has all opportunities for a steady growth. The chief developer at Ethereum, Vitalik Buterin, considers Dogecoin his favorite cryptocurrency after ETH, and builds in support of Dogecoin in his system of clever contracts. 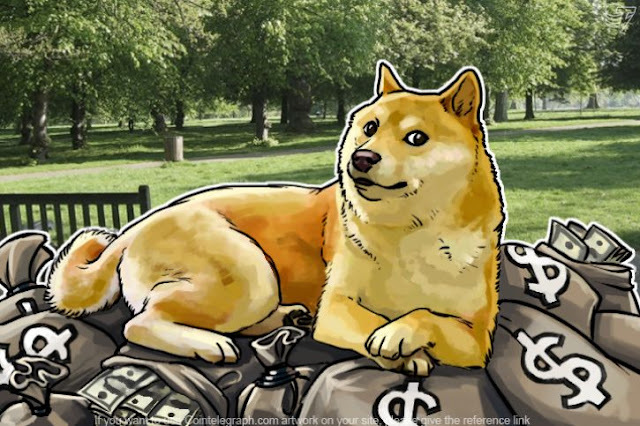 On the Chinese exchanges Dogecoin trades slightly more actively, and trading volumes on Poloniex hold Dogecoin in the top ten most popular cryptocurrencies. These factors say that Dogecoin will please traders in 2016 with new tops and zones for favorable purchases definetly more than once. Read more.